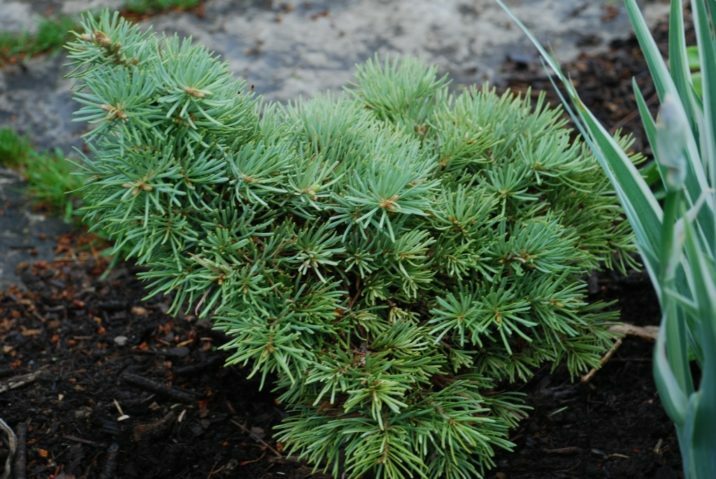 Abies concolor 'Piggelmee' is a very dwarf cultivar, broader than high, and a lovely pale Blue. The short, thick needles are densely arranged on short stems. Annual growth 1 inch (2.5 cm). Found as a witch's broom on a specimen of 'Candicans' in a garden in Geneva and introduced c. 1970 by Draijer B.V., Netherlands. Normally grafted, it is hard to propagate due to the short branchlets. Small witch's broom from a Abies concolor 'Candicans'. Ideal for the rock garden or other small spaces. The densely packed needles are Blue-grey in color, and very short. The plant is a low spreading mound, growing less than 1 inch (2.5 cm) per year. 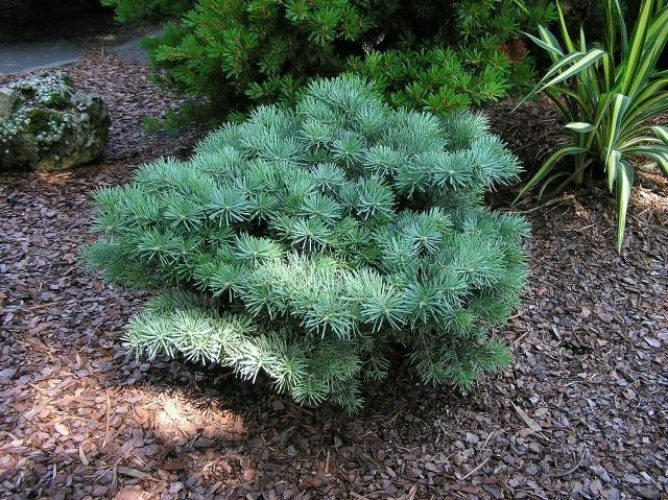 Abies concolor 'Piggelmee' Mature specimen in a garden setting. About 14" (35.5cm) across this photo was taken in August 2004. 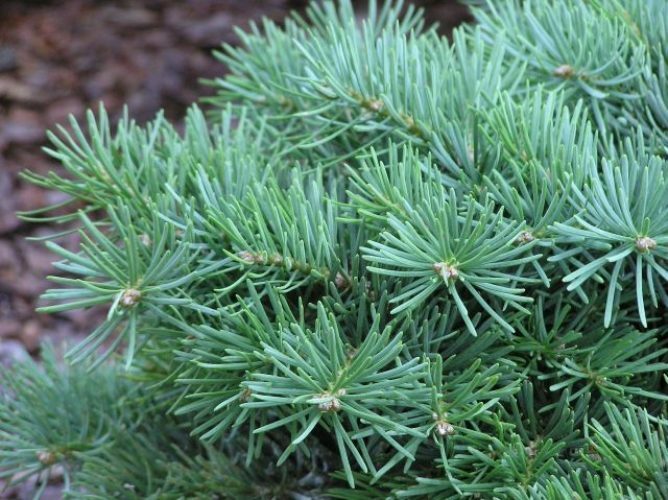 Abies concolor 'Piggelmee' foliage Close-up of needles. Needles are shorter than species. Nice textural contrast in small gardens.